Check out our Roadmap to find out what we&apos;re working on. We&apos;re also working on our new sites. All of our sites are on GitHub, with the repositories named after the respective domain. 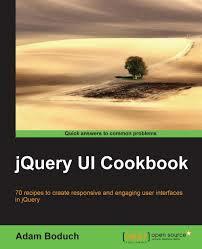 For example, the repository for this site is jquery/jqueryui.com. Before filing a bug report, there are a few simple steps you should follow. First, search for existing tickets to see if the issue has already been reported. Try a few different phrases in case someone else described the problem in a slightly different way. If you don&apos;t find an existing ticket, then create a new ticket. 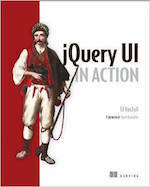 Make sure to provide a clear explanation of the problem, along with a reduced test case created in jsFiddle or jsbin using the latest version of jQuery UI. Do you have a bug fix that you&apos;d like to contribute? If this is your first contribution, you may want to read about how to get involved. You should also read our bug fixing guide and commit message style guide. Please make sure you have your proper name and email address configured in git. You&apos;ll also need to fill out a Contributor License Agreement so that we can properly track where our source code contributions are coming from. Want to get more involved? Introduce yourself on the Developing jQuery UI forum or join us on IRC in #jqueryui-dev on freenode. Provide feedback on our upcoming widgets on the development and planning wiki or help answer questions on the Using jQuery UI forum. We also have weekly meetings every Wednesday at noon ET in #jquery-meeting on IRC.